Zwakala River Retreat is situated on a private farm in the beautiful Magoebaskloof / Haenertsburg Mountains on the banks of the Broederstroom River – the source of the great Letaba. 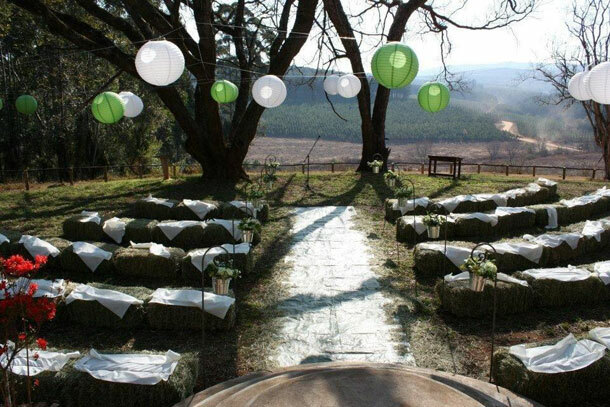 Our new venue, Mina’s @ Zwakala, created out of the original farm house and shed, overlooking the valley with larges old tress in the garden, is perfect for weddings. Minas is our farm venue that can accommodate up to 100 people seated. It is a renovated farm shed and the original farm house from the early 1900’s. It has a charming feel with old stone reveals, a large fireplace, and an old fashioned “stoep” overlooking the valley. It has a fully equipped kitchen where beautiful menus are created from the freshest ingredients for any occasion and to the client’s specification. The venue has a terraced garden with massive trees and a magnificent view. Mina’s is perfect for weddings, creative gatherings, special occasions or just getting together with a bunch of good friends! We have camp sites and self catering Haenertsburg available for your wedding guests. 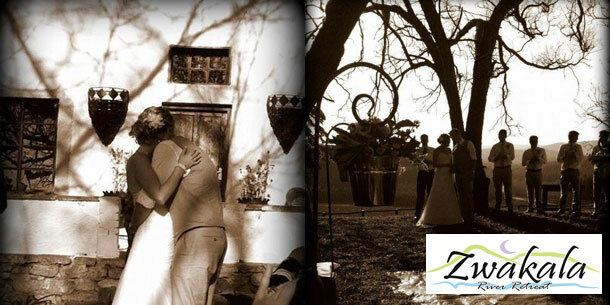 To book your wedding at this lovely venue telephone Denise or Rob on +27 (0)83 627-2551. Alternatively visit Zwakala River Retreat for further details or to send an enquiry.